Moving to a small town with her father, a young girl finds her ability to see spirits around one of the girls in town helpful in solving a spree of malicious accidents connected to her. This one wasn't an overall terrible entry but there's some pretty big flaws present. The biggest, and easiest to to spot, is the complete and utter lack of discipline bestowed on the girl simply to let the film's plot get carried out. Though it is entirely possible for a young girl to act out as she does here, with her fascination in the morbid details of the accidents, the possessive nature towards everything and the attitude towards her friends and family being the biggest targets which are in no way plausible for most children to be accepted to act, and the fact that this particular tactic is used to demonstrate nearly all of the film's fear quotient is quite a huge miscalculation, if not in theory then certainly in the execution of how much time is spent on it. The other real problem with this one is the fact that there's never going to be a chance to let loose with the opportunities it could feature because the format and type of release won't allow it. Those two factors are the main elements which hold this one down, but there's some fine points as well. 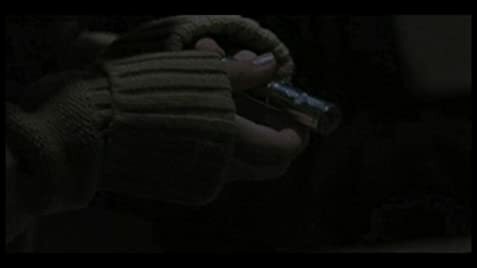 There's some really interesting parts abut the possession of the elder sibling being connected to the ghostly sighting, which themselves are quite chilling when they pop up, the different tormenting methods are definitely intriguing at times including a really harrowing scene trapped in a flaming garage and the finale is quite fun with a nice chase and a brutal confrontation scene. These help it along, but it's still not that great. Rated Unrated/PG-13: Violence and children-in-jeopardy.